Hello everyone! I hope you guys didn’t eat too much candy last night! Now that Halloween is over it’s time to start planning Thanksgiving dinners and Christmas parties, yay! 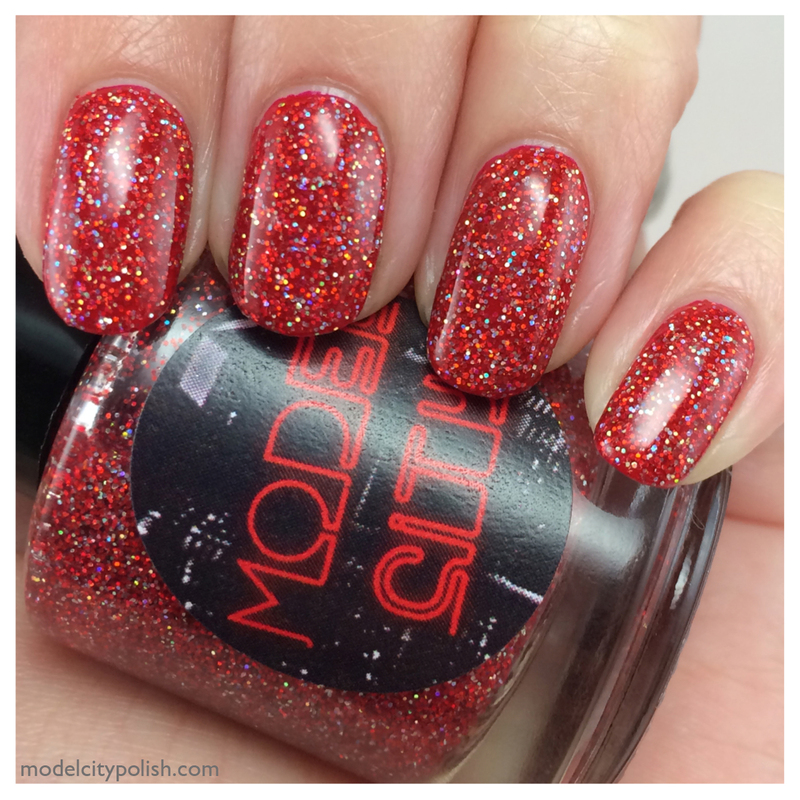 Just in time for the holidays, two new festive gemstone inspired blends! I have had these guys in testing for about 10 months now and feel they are finally ready for the debut. 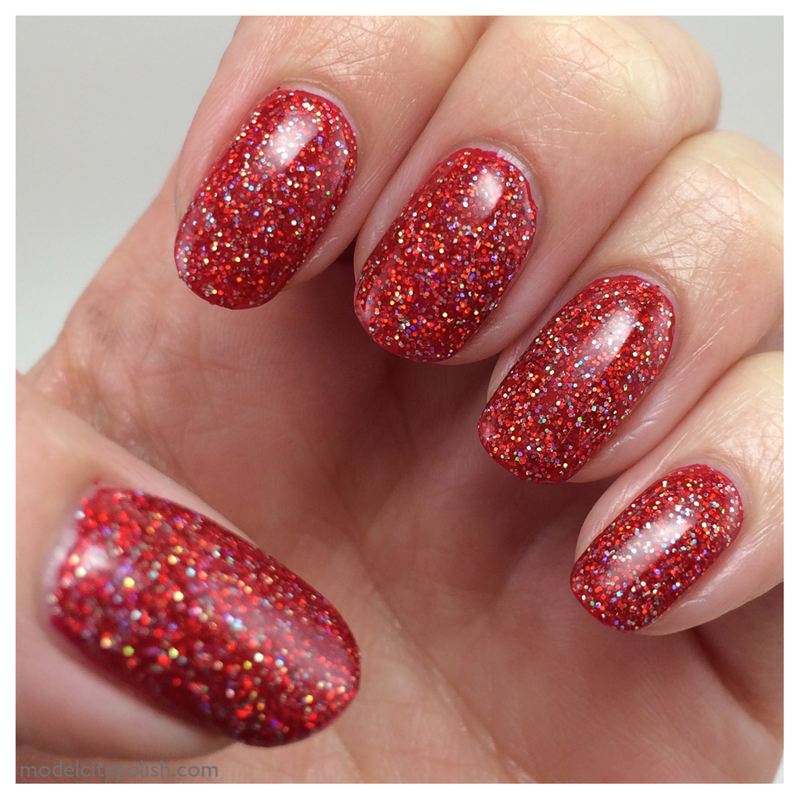 First up, Rubies and Diamonds. 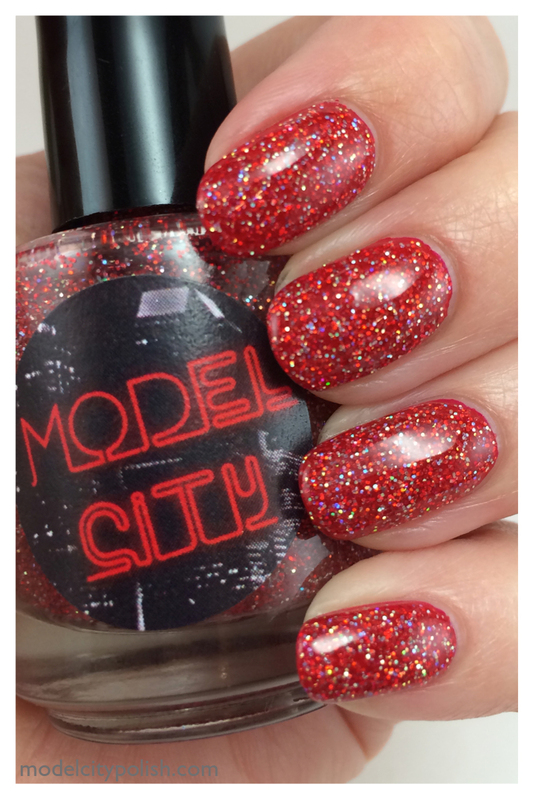 This one is a clear base packed with red and holographic silver glitters. 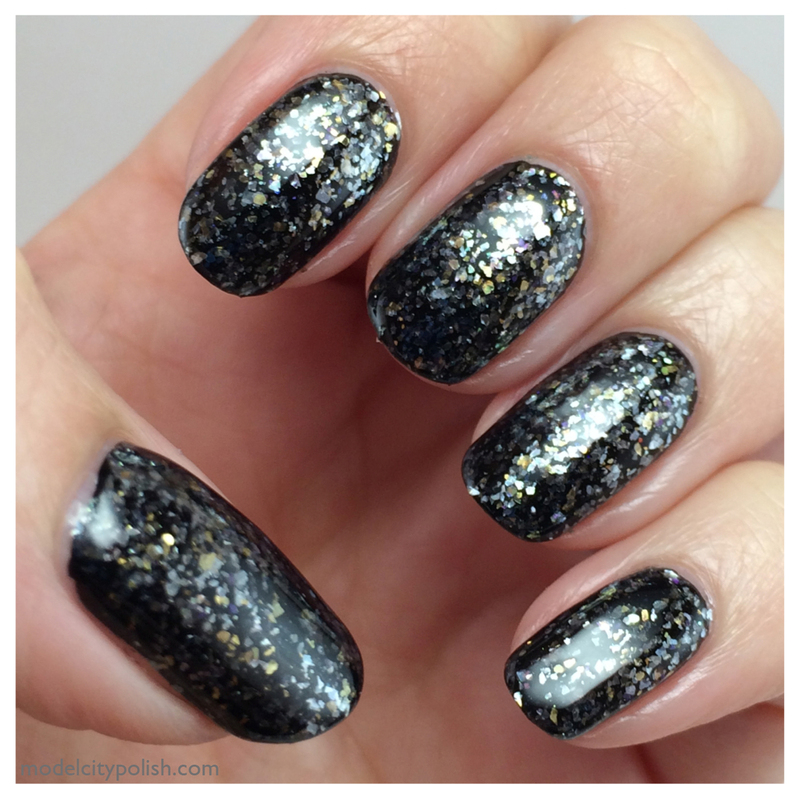 Just like the other gemstone inspired blends, you can wear this as a topper or on its own. 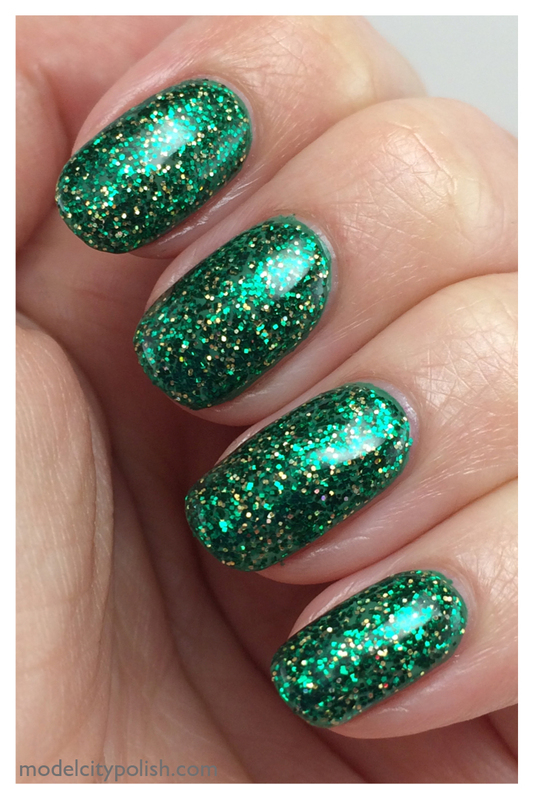 Today I have paired it with Julep Molly. 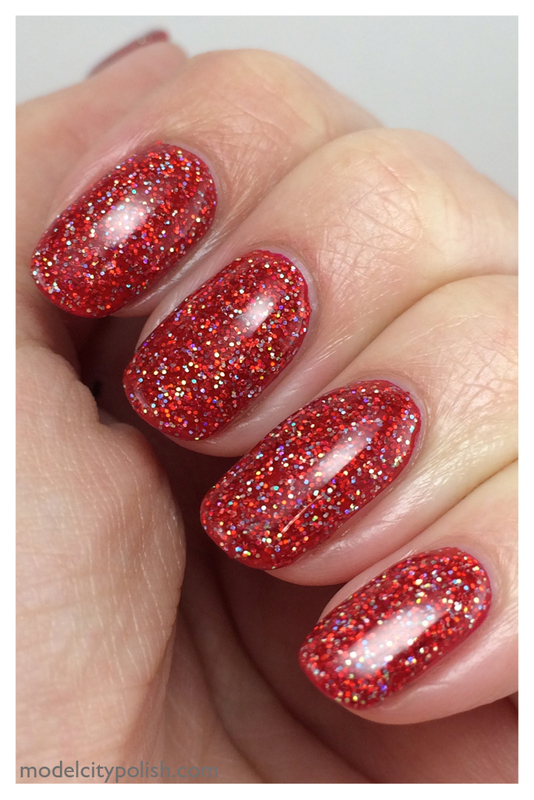 I used just one coat of Molly and then two coats of Rubies and Diamonds. I then sealed it with a generous coat of Gelous. Click on the image below for a quick little video showing off it’s beauty! 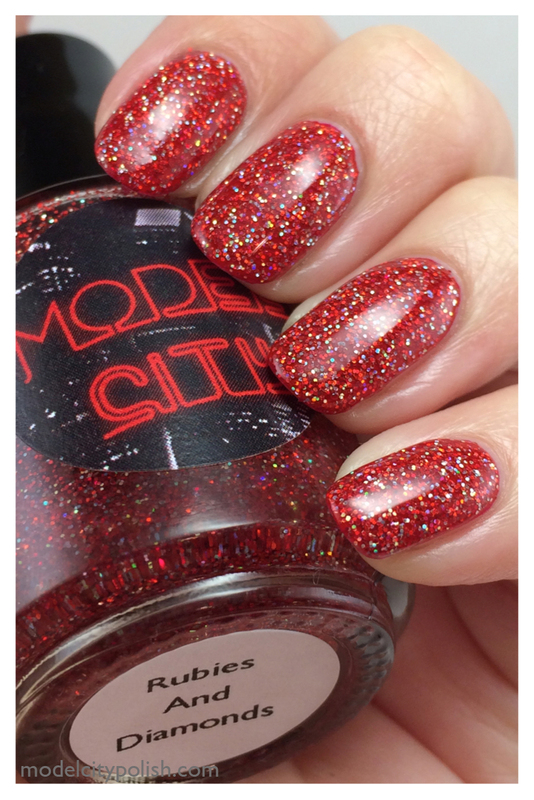 The light changes the color a little but really shows off the glitter. 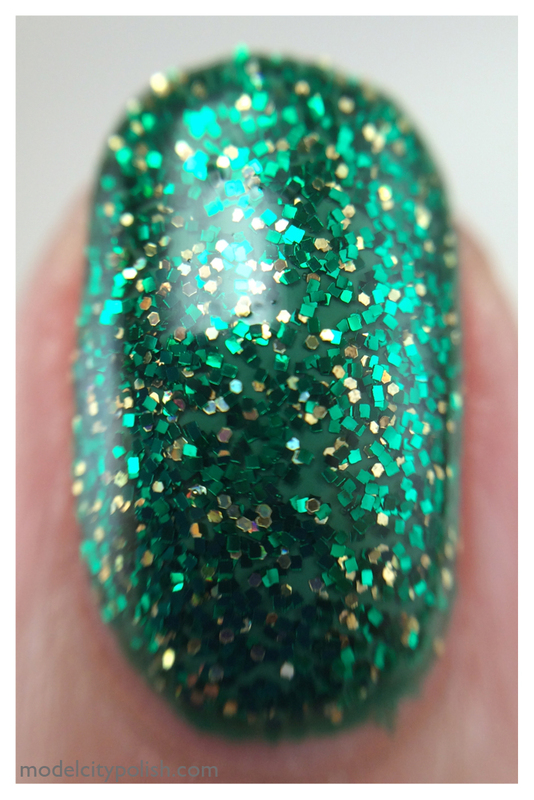 Next up is Emeralds and Gold. 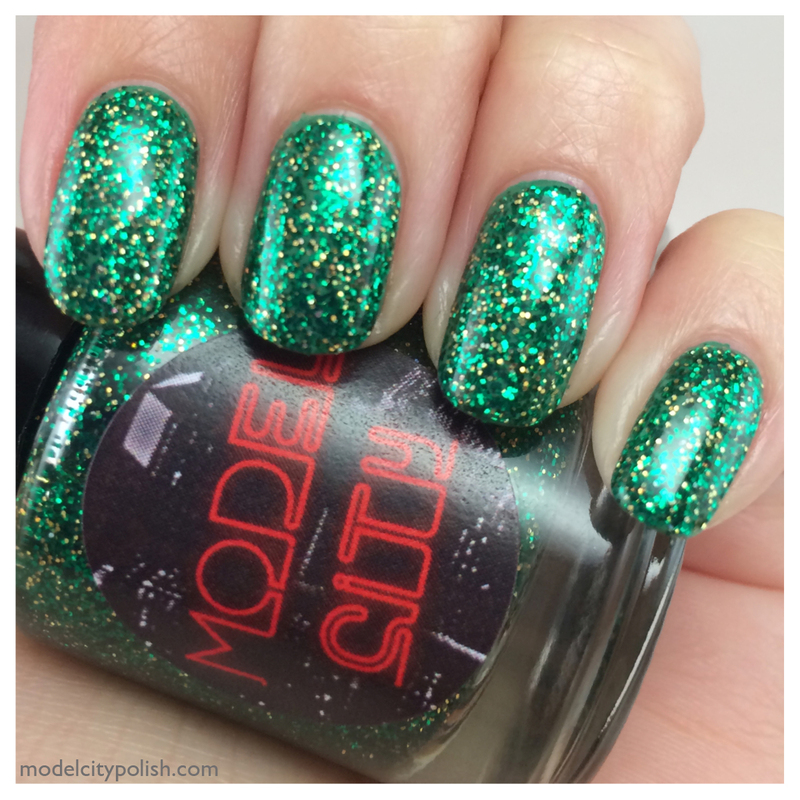 Good green glitter that does not bleed is tough to find but after 10 months….. we have a winner! 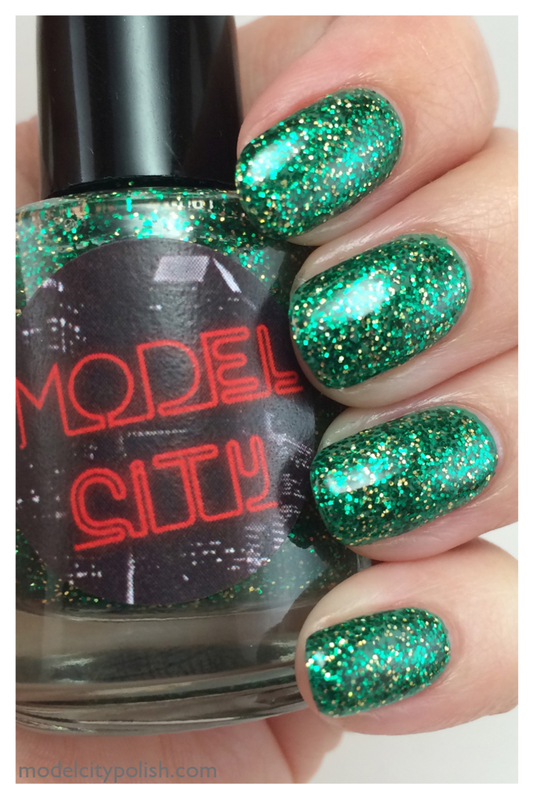 Emeralds and Gold is a clear base with green glitter squares and holographic gold glitter. 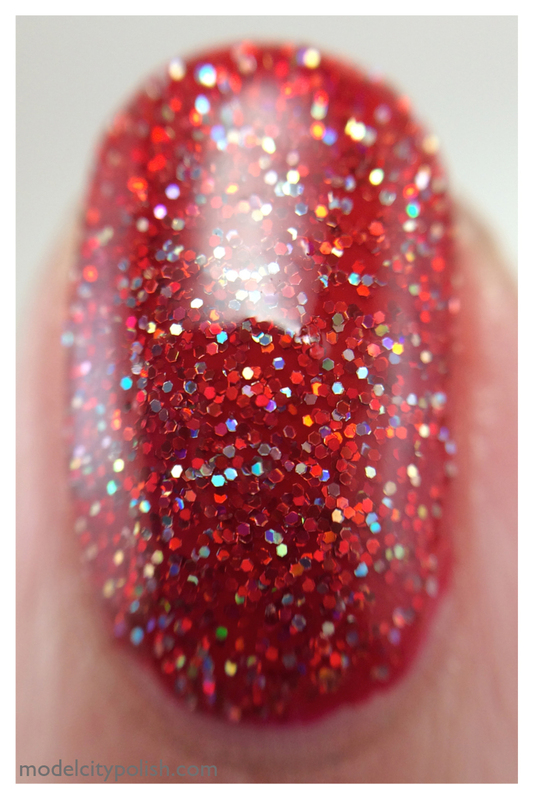 Again this one can be worn as a top coat or in layers to create a gorgeous glitter bomb. 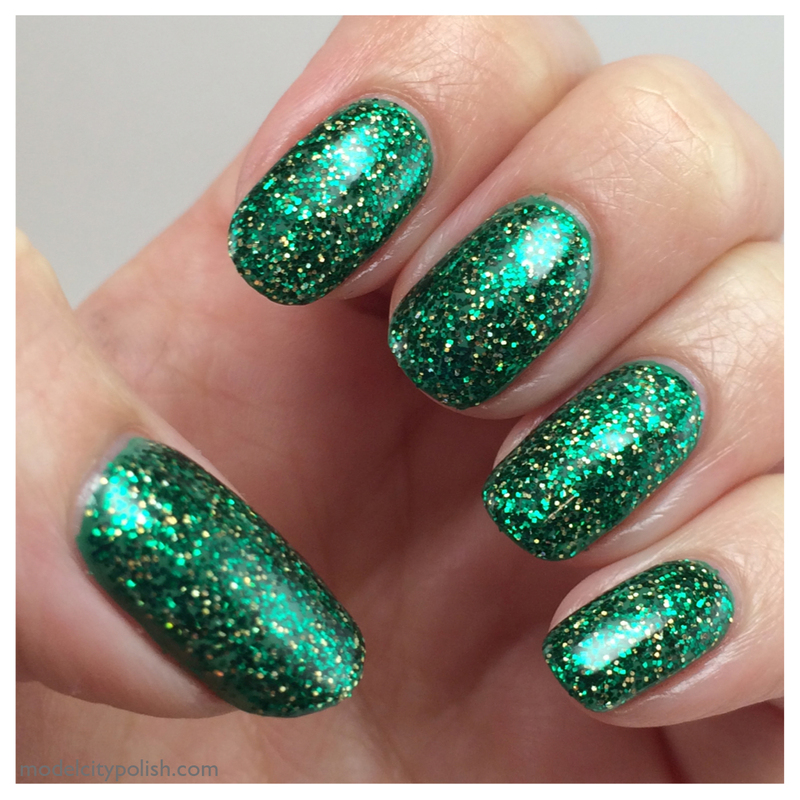 In my photos I have used one coat of Julep Popova, two coats of Emeralds and Gold, and then sealed it with a generous coat of Gelous. 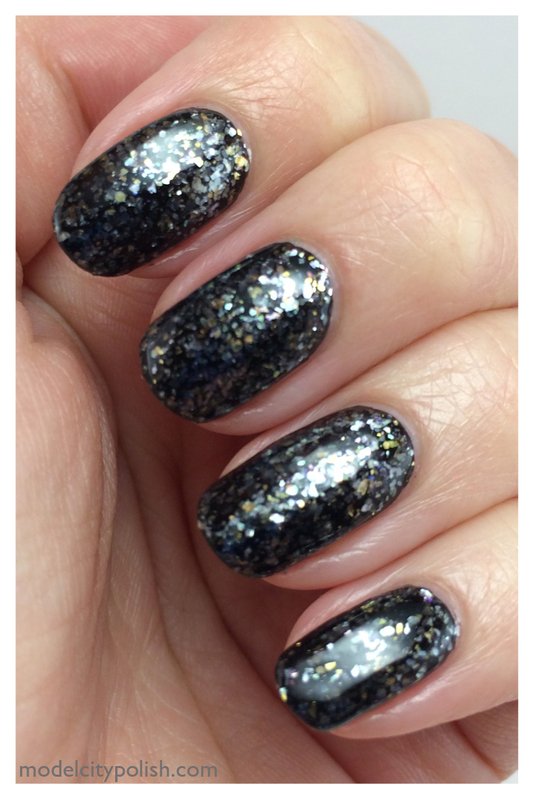 Again just click the image below to see some sparkles! 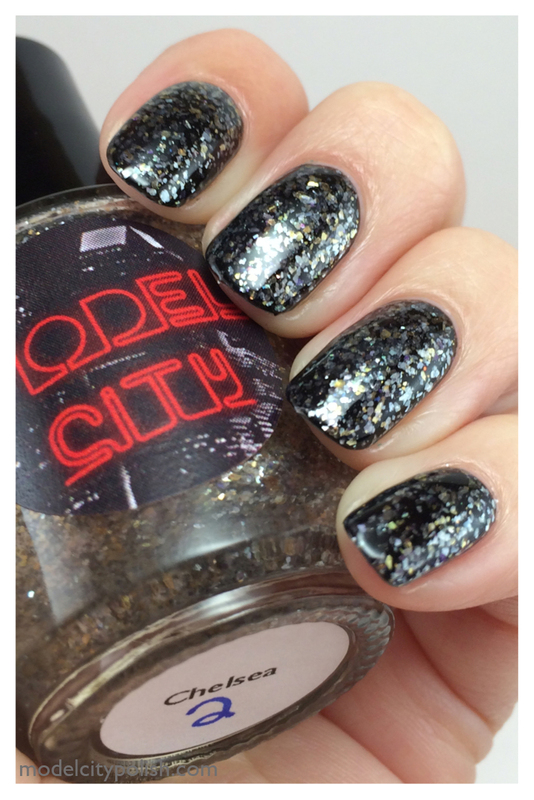 The light makes this appear darker than it really is but you get the idea on the glitter goodness! Last up for this Saturday stocking, Chelsea. 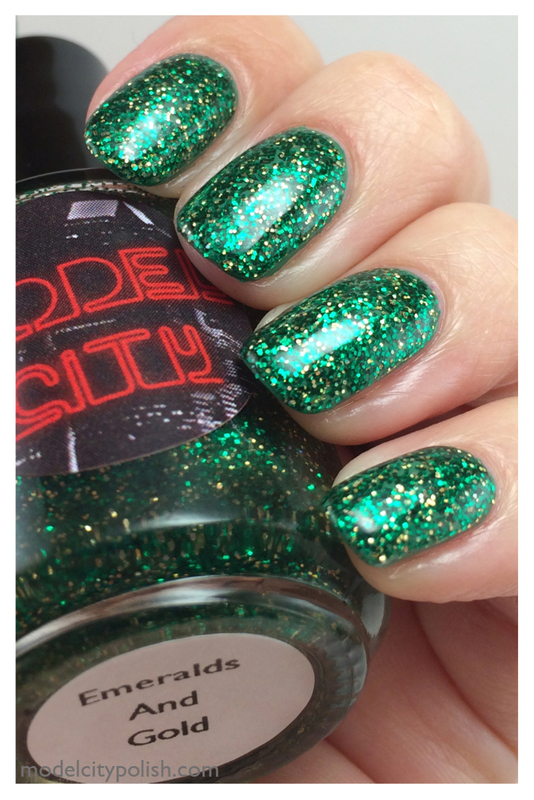 This past summer I held another user photo contest and like others in the past the winner and I worked one on one to create their perfect namesake polish. Chelsea gave me few different ideas but I settled on one inspired by her username in a group that we both frequent in on Reddit. This is the image that I used for my inspiration…. Schist. 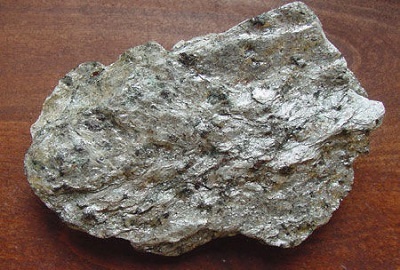 Schist is a rock that consists of large mica flakes and sounded like a great inspiration piece. 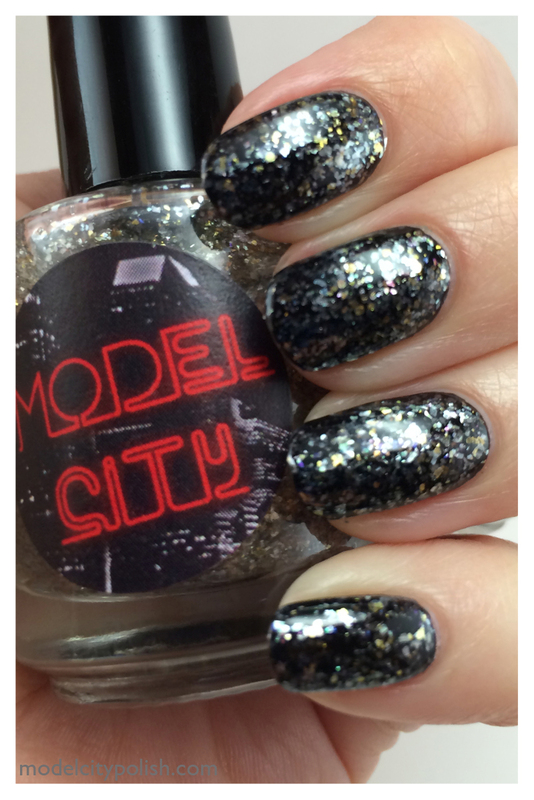 Chelsea is a clear base packed with silvery white flakes and then a splash of gold and black flakes. 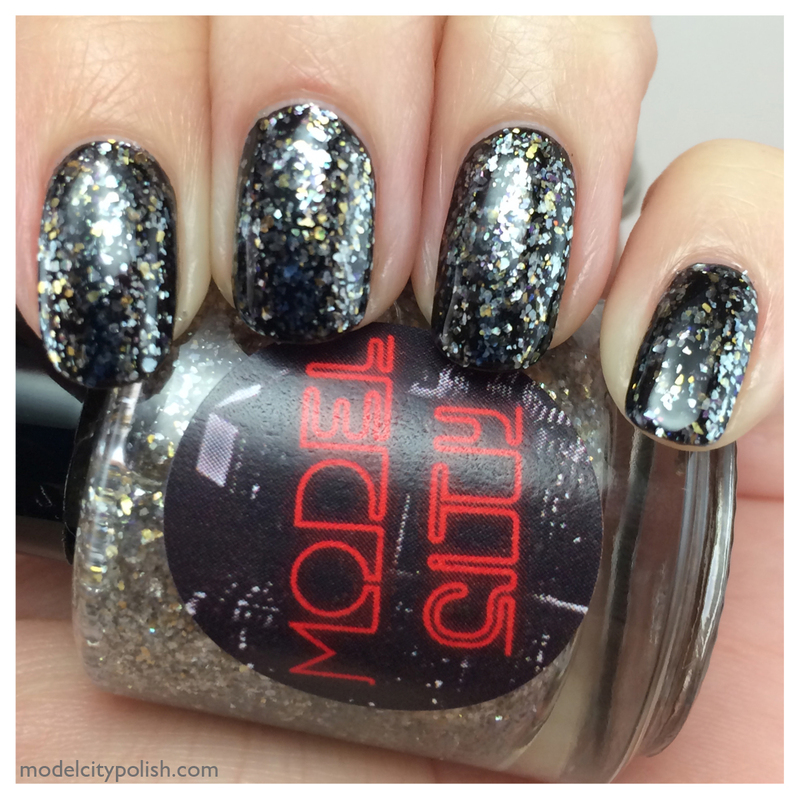 This blend can be worn on it’s own or as a top coat. 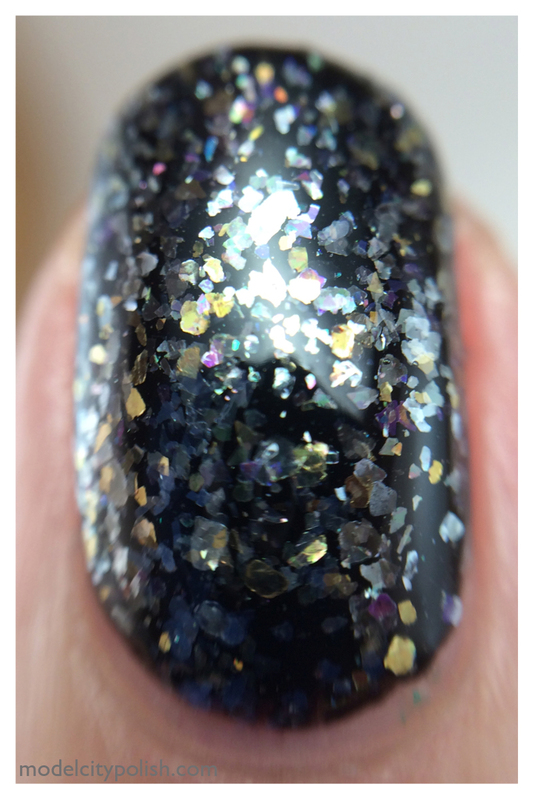 For my photos I have paired it with Sinful Colors Black on Black. I used just one coat of Chelsea and then a coat of my Gelous.